Pitched as the "most forward thinking" smartphone on the market, Apple's new iPhone 5s is certainly capable of doing a lot of thinking on its own, thanks to a wide array of sensors led by the new Touch ID fingerprint scanner and M7 motion chip. Arguably the greatest selling point of the new iPhone 5s is the fingerprint scanner embedded in the home button, which Apple has dubbed "Touch ID." At launch, the capabilities of Touch ID may be limited to securely unlocking the device and authorizing iTunes and App Store purchases. But Apple will be adding to the feature over time, presumably giving developers access as well, which would unlock even more functionality. The Touch ID sensor is based on technology Apple acquired from AuthenTec, a Florida-based company the iPhone maker purchased last year. In the iPhone 5s, Touch ID packs a 500-pixel-per-inch sensor capable of scanning sub-dermal layers of skin from a variety of angles. "Your fingerprint is one of the best passwords in the world," said Dan Riccio, Apple's senior vice president of Hardware Engineering. "It's always with you, and no two are exactly alike." Apple has promised that users will be able to scan in up to five individual fingers that will authorize access on the iPhone 5s. Setting up the system requires a user to repeatedly press their finger against the sensor from a variety of angles, allowing the system to accurately get a three-dimensional scan of the surface of their finger. 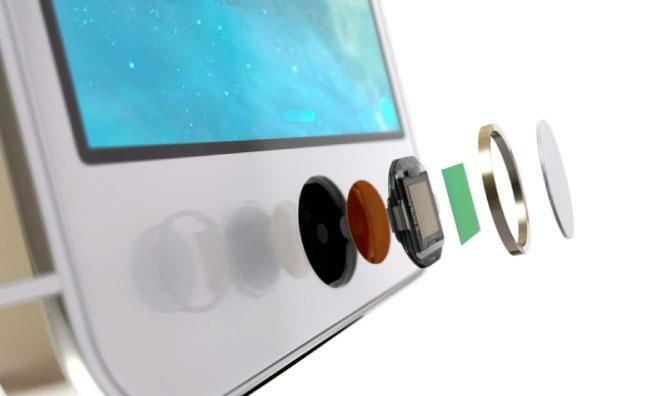 To aid the Touch ID sensor, Apple has also upgraded the iPhone 5s home button to a sapphire crystal material that is especially resistant to scratches. The exterior of the button also includes a steel detection ring that's necessary to allow the Touch ID sensor to read a fingerprint without requiring the user to swipe their finger over the surface, as other fingerprint sensors operate. Apple has admitted that its new Touch ID system is not flawless, with limitations related to moisture or other conductive debris that could give false readings. The system may also have trouble identifying fingers with scars, but users are allowed to use any finger they choose and are not just restricted to a thumb or index finger. Touch ID also has enhanced security by not storing a user's scanned fingerprints on the sensor itself, or saving it remotely to Apple's iCloud. 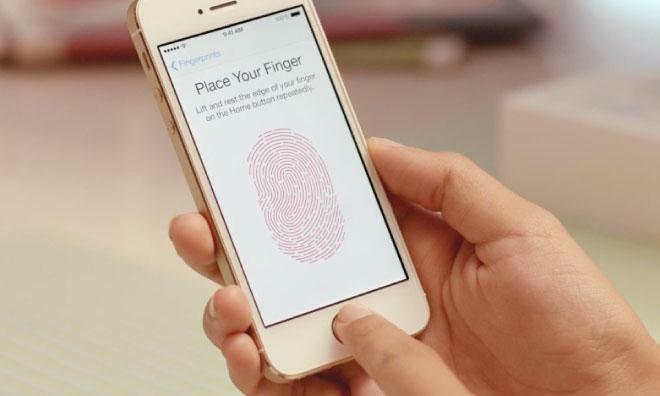 Instead, encrypted fingerprint data is stored on the iPhone 5s A7 system-on-a-chip. That data is also discarded if a device is rebooted or has been left unused for more than 48 hours, at which point users will have to simply reenter their passcode. 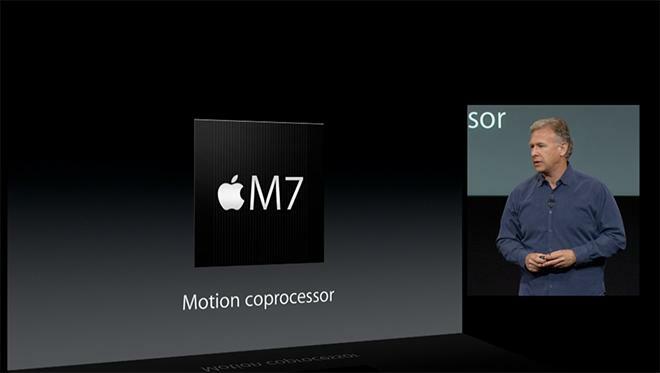 M7 knows when you're walking, running, or even driving [...] And if your phone hasn't moved in awhile, like when you're asleep, M7 reduces network pinging to spare your battery The new M7 "coprocessor" sensor found in the iPhone 5s is an entirely new silicon addition to the iPhone lineup. Exclusive to this year's flagship device, it handles measurements of data from the integrated accelerometer, gyroscope, and compass. By offloading this data to a dedicated processor, Apple can become more efficient. Imagine replacing a pedometer, like a FitBit, and handing all of those duties off to your iPhone 5s  a device most users would already be carrying in their pocket throughout the day anyhow. "M7 knows when you're walking, running, or even driving," Apple's official description reads. "For example, Maps switches from driving to walking turn-by-turn navigation, if, say, you park and continue on foot. Since M7 can tell when you're in a moving vehicle, iPhone 5s won't ask you to join Wi-Fi networks you pass by. And if your phone hasn't moved in awhile, like when you're asleep, M7 reduces network pinging to spare your battery." 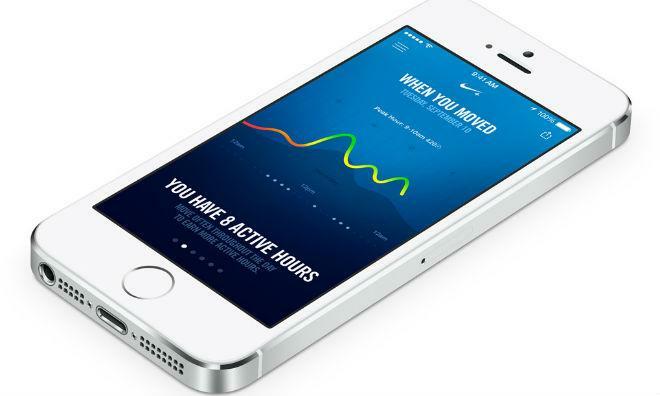 Apple has also revealed that a new application, "Nike+ Move," will use the M7 data for pedometer-like tracking. Other third-party applications will also have access to new application programming interfaces in iOS for their own fitness and motion tracking applications. Details on Apple's M7 coprocessor leaked ahead of the official unveiling of the iPhone 5s. At the time, it was suggested that the chip could assist in photography in some way. Apple has not signaled whether the M7 chip is used to improve the iPhone 5s camera, but there are a number of significant advancements the company did detail. Apple has boasted that the iPhone's rear facing iSight camera is the world's most popular camera. So it's no surprise that the camera sensor on this year's iPhone 5s has seen its share of upgrades. Rather than more pixels, this year Apple is pushing the concept of bigger pixels, which the company says will produce an even better picture. To accomplish this, the new iSight lens has a wider f2.2 aperture, which feeds images to a 15 percent larger CMOS sensor. That means each pixel in an image can have 33 percent more light data, according to Apple. With advanced processing from the A7 chip, Apple says iPhone 5s photos will have greater dynamic range, more details in highlights and shadows, and less overall noise. The iPhone 5s camera also has a new auto-image-stabilization feature that provides superior pictures in low-light settings. The phone will take up to four quick photos, and intelligently merge them to reduce blurring. 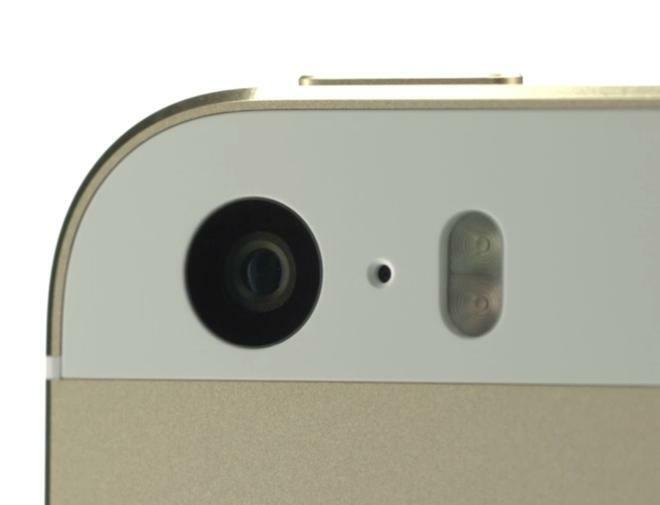 The camera sensor in the iPhone 5s is also aided by a new dual LED flash dubbed "True Tone" by Apple. By measuring color temperature, the iPhone 5s will choose the right ratio of white and amber colors from the dual flash for a more natural looking picture in low-light scenarios. Burst mode is a new software camera feature available in iOS 7, but iPhone 5s owners will be the only ones who can use the functionality to have the system automatically select which pictures it believes are the best. The new iPhone 5s image sensor is also capable of capturing 120-frame-per-second video, which allows for more fluid slow-motion footage in high definition. 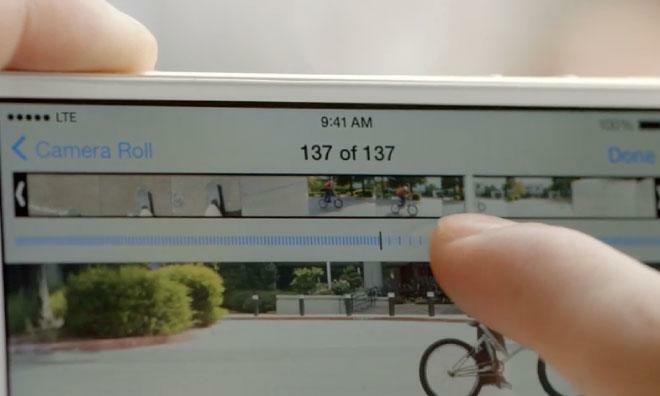 The integrated Camera software in iOS even allows users to select a specific section of a recording they want to play back in quarter-speed slow motion when viewing a full clip.